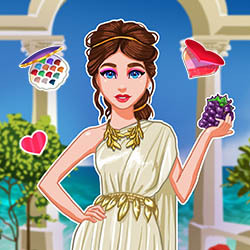 Description: In this Legendary Fashion dress up game, meet the goddess of love and beauty from ancient Greece, Aphrodite. She's fashionable, beautiful and sometimes a little vain. Find her the most beautiful dresses, and accessorize it with the perfect make-up to make her look divine!